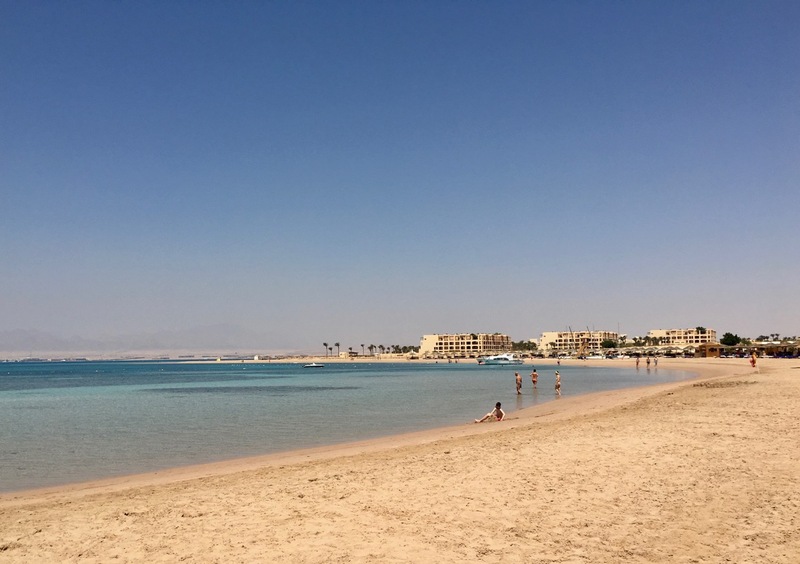 After a gruelling 14-hour tour the day before, the only way to recover was to find a shady sunbed on the beach, and have a refreshing dip in the Red Sea. To be honest, what I’ve seen of Safaga wouldn’t necessarily mark the town out as a place I’d go to relax – the town sits on the edge of the bleak Eastern Desert, and is mostly scruffy, dusty and appears half-finished. 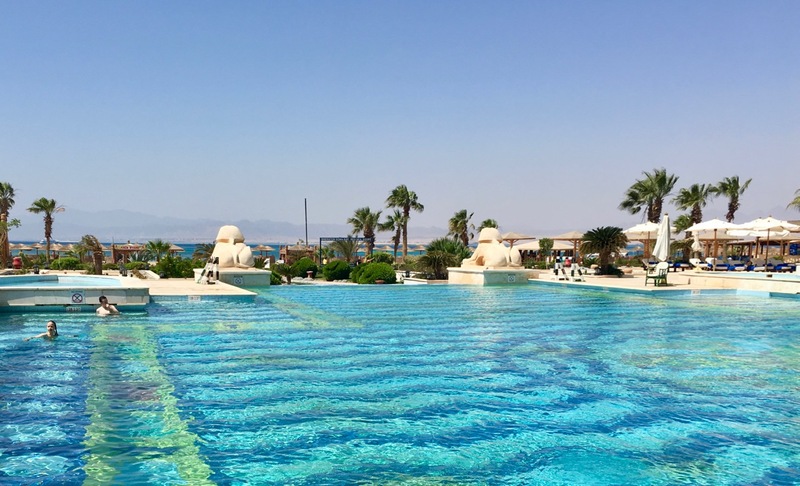 However, outside of the town, in the fenced-off Soma Bay area, there’s some very high quality resorts that take advantage of the attributes that Safaga has in abundance – sun, sea and sand! 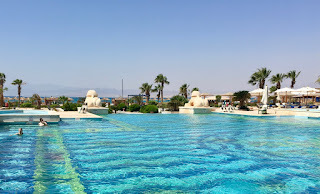 So, I had the hard job of accompanying the tour to the upmarket Sheraton Soma Bay Resort, where we given a cabana on the beach, and left to get on with the difficult job of relaxing. 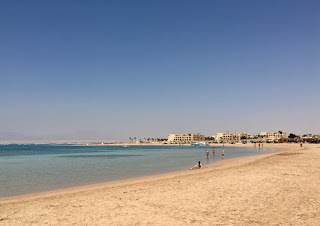 This I achieved quite well, interspersed with a couple of breaks for swimming – the sea was actually a bit colder than I’d expected, but seeing as the temperatures out on the sand had by now reached roasting, it was nice to cool off. There wasn’t really anything more to my day than that. Sometimes, it’s good to keep things simple.